While trying to bring order out of chaos in my ridiculously cluttered home office this afternoon, I happened upon a shoebox filled with old photos. 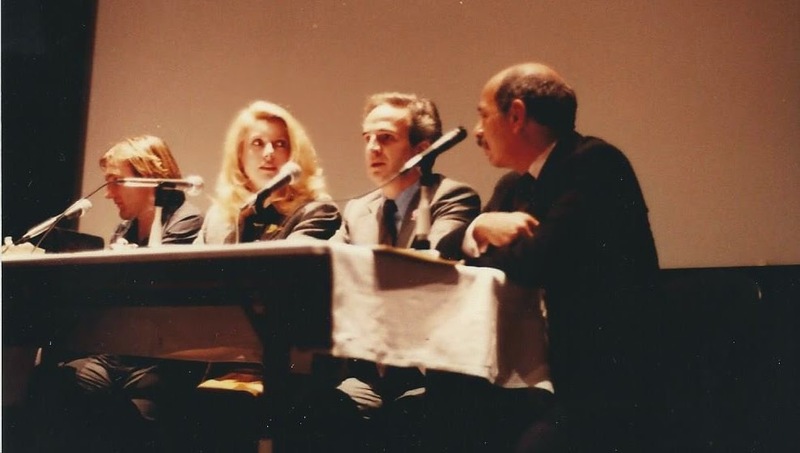 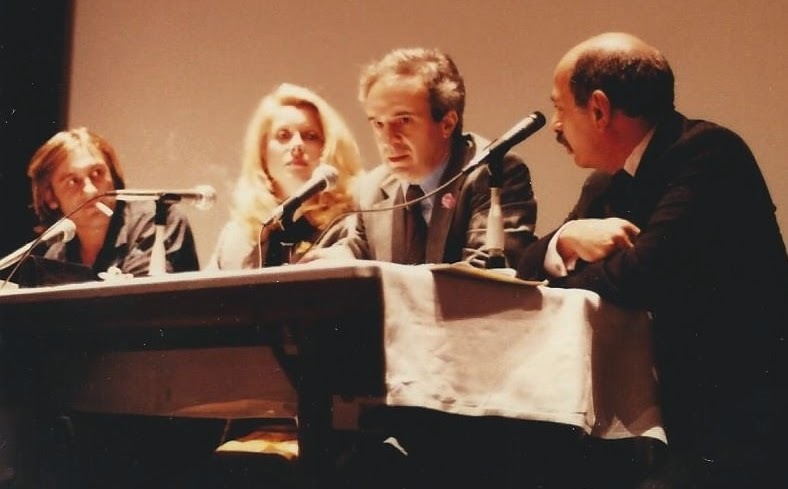 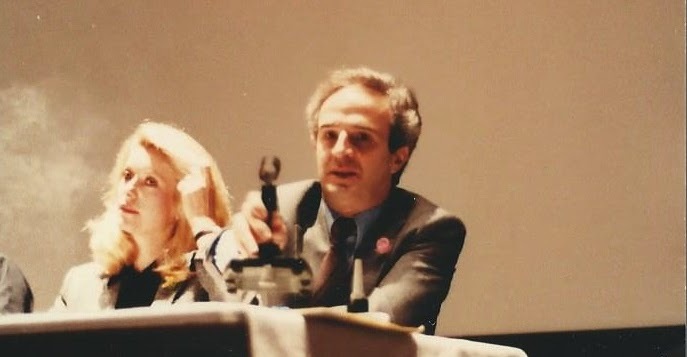 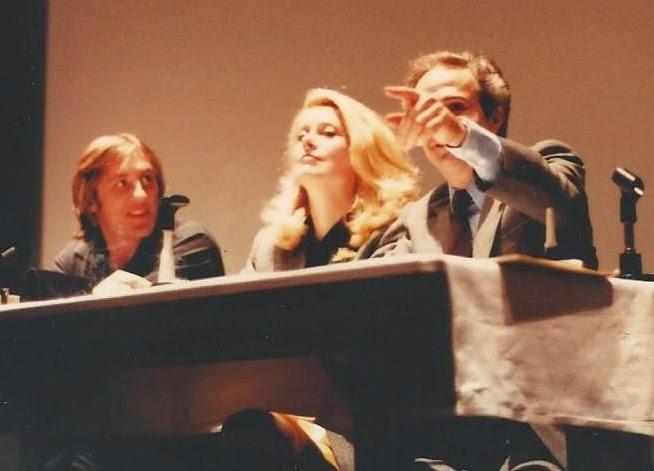 And lo and behold: I found these pictures I took at the 1980 New York Film Festival press conference for The Last Metro. 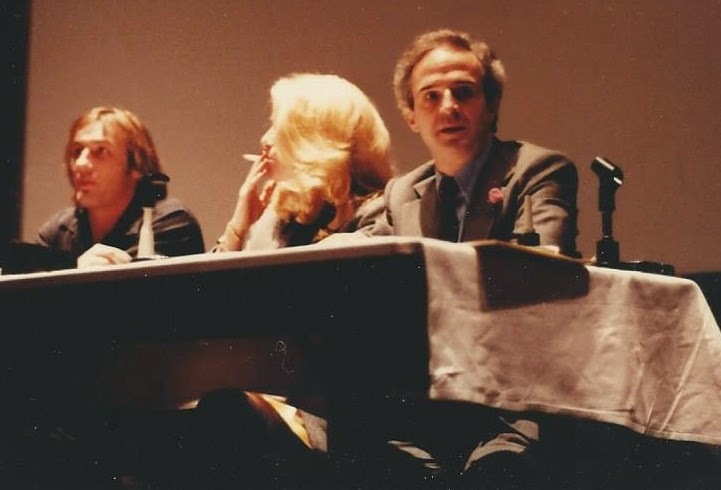 Then, as now, my skills as a shutterbug leave something to be desired. Still, these shots of François Truffaut, Catherine Deneuve, Gérard Depardieu and festival director Richard Roud bring back very happy memories.